NEW DESIGN! Now featuring three Base Pin placements (left, center, and right) and a stacking slot cut-out. 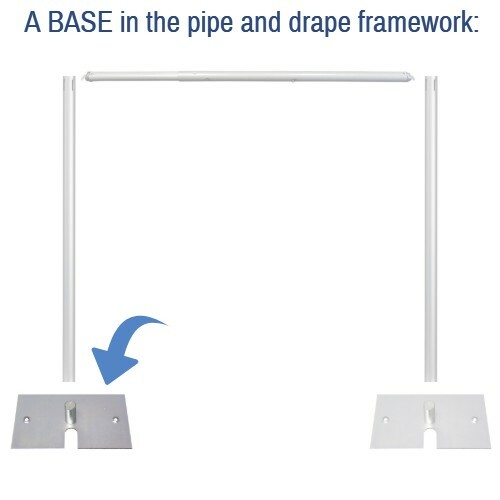 NOTE: THIS BASE IS MEANT FOR USE WITH UPRIGHTS UP TO 16 FEET TALL ONLY (SPECIFICALLY, OUR 8-14' ADJUSTABLE OR 9-16' ADJUSTABLE UPRIGHTS). Our taller uprights require heavier and larger bases. 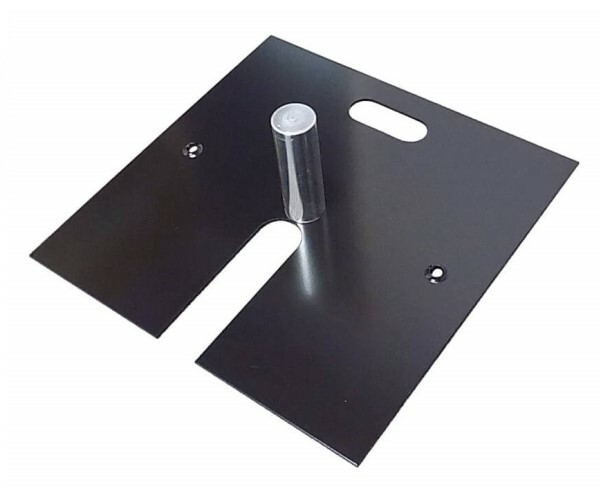 18 inch x 18 inch durable steel base with 6 inch tall base pin (choose from pin for 1.5 inch diameter aluminum Upright or pin for 2 inch diameter aluminum Upright, based on your Upright pipe). Upgrade to 9 inch tall pin (only for 2 inch diameter Upright) is available. 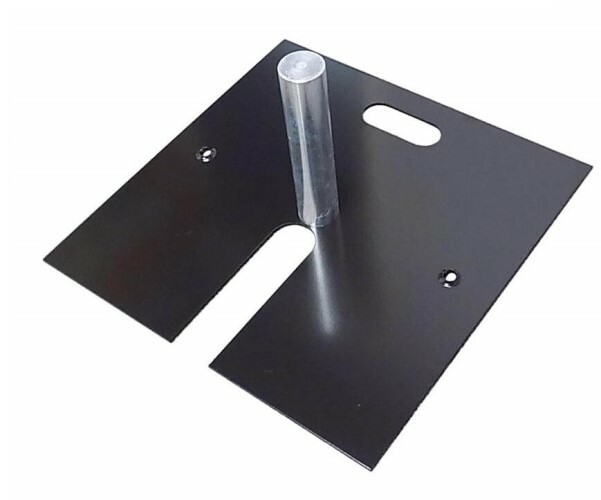 Please note that pins for 1.5 inch diameter Uprights will not work with 2 inch diameter Uprights, and pins for 2 inch diameter Uprights will not work with 1.5 inch diameter Uprights. This is for the base and pin only. Upright and other pipe sold separately. Black powder coated for a sleek look. Features a convenient carrying handle slot, and a stacking slot for easier storage. 3 holes allow you to choose your preferred base pin location - left side, center, or right side. 35 lb. weight is approximate, with Base Pin. Our Slip-Fit uprights go right over the base pin for quick and easy set-up. Q: Is the price quoted for 1 base pin only? This item typically ships within 2 business days*. Large orders and/or orders with FREE SHIPPING chosen as the shipping method during checkout (when available) may have an additional production lead time before shipping. Weight (Approximate, Each, with Included Base Pin): 35 lbs. 7 oz.